One of our primary goals as a ministry is to teach students how to study the Bible. Below are resources, some from people in our ministry and some from others, that we have found helpful. 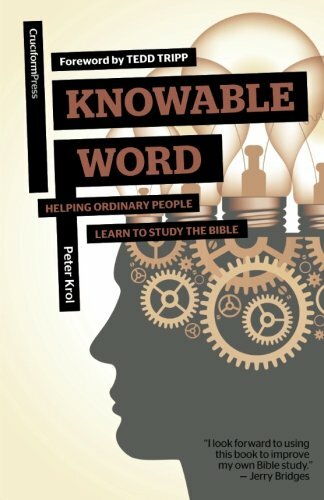 Written by our president, Peter Krol, Knowable Word teaches ordinary people how to study the Bible through observation, interpretation, and application. Also check out the free Knowable Word booklet that summarizes much of the content in the book. Going beyond the Knowable Word book, Peter Krol and others post regularly about topics concerning Bible study. BibleGateway is our first click for an online Bible resource. You can access hundreds of translations from anywhere. The Bible Project employs visual storytelling as an aid for reading the Bible.